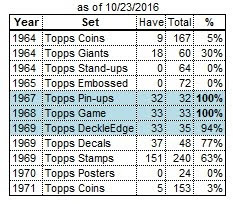 It's hard to figure out Topps' logic when it came to multi-player cards in the late 1960s. 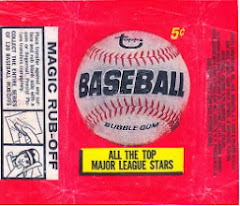 In the later series, multi-player cards just disappeared. 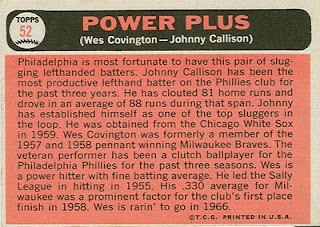 #152 Power Plus - How can they make a card about the Phillies' power hitters and not include Richie Allen? 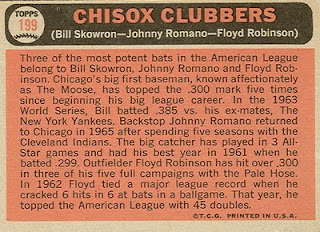 #199 Chisox Clubbers - In the land of the Go-Go Sox, "clubbers" is a relative term. Skowron and Romano each had 18 dingers in 1965, Robinson had 14. 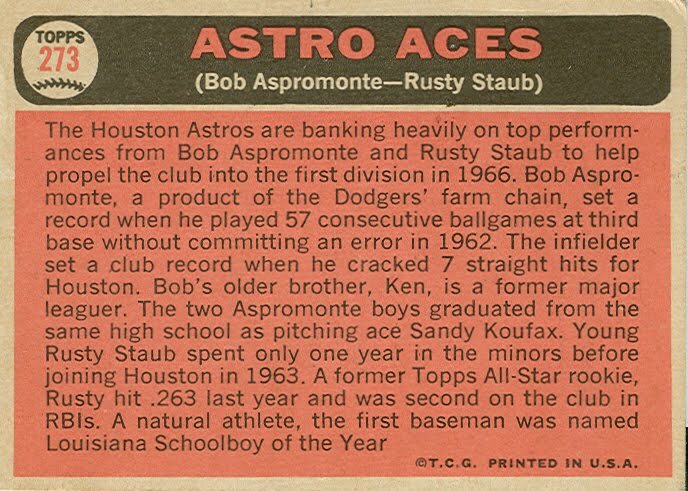 #273 Astro Aces - At least the title of this card isn't implying home run power for its featured players! Frank Kreutzer (#211) pitched for the White Sox and Senators in the early-to-mid 1960s. He was signed by the Red Sox in 1961. After only one season in their farm system, he was drafted by the White Sox, spending the next 2 seasons in Chicago's farm system, while pitching 1 major-league game each season. 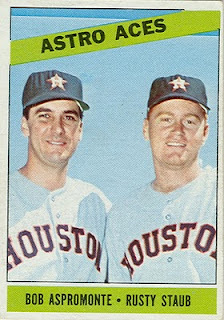 1964 was Frank's first full season in the major leagues. 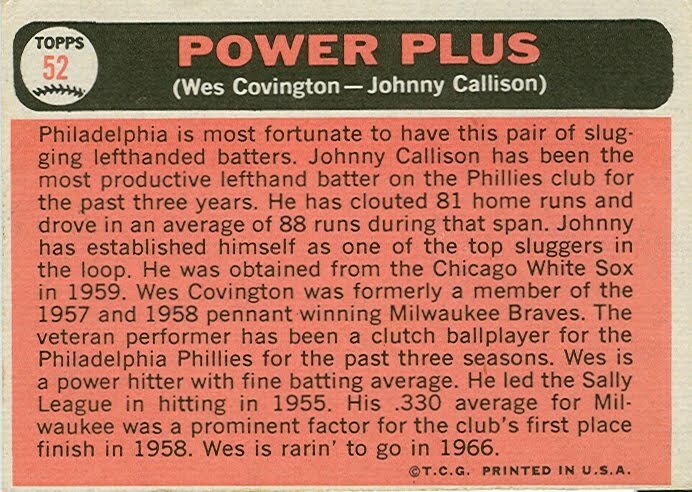 In July, he went to the Senators as part of the Joe Cunningham-for-Bill Skowron trade. 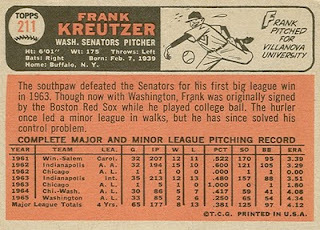 After another full season (1965) with the Senators, Frank resumed his minor-league career. 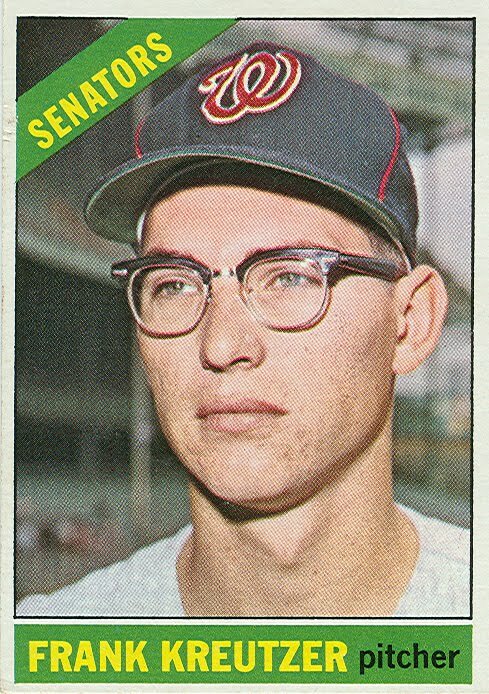 Although he would appear in 9 games for the Senators in 1966, he spent most of that season, and all of '67 and '68 with Washington's triple-A team. 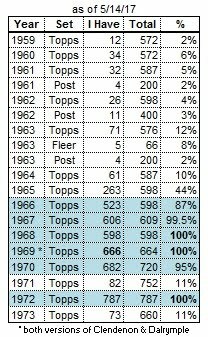 1969 was his final season. After appearing in 4 games with the Senators, he was traded to the Pirates in May, and spent the remainder of the season with Pittsburgh's triple-A team in Columbus. Here's a guy I never heard of until I got his 1966 card within the past year. 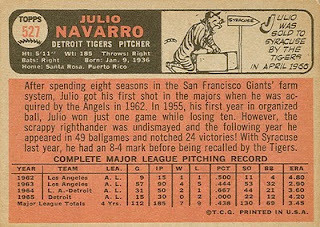 Julio Navarro (#527) began his career in 1955, spending 8 seasons in the Giants' farm system before the Angels purchased him in September 1962. 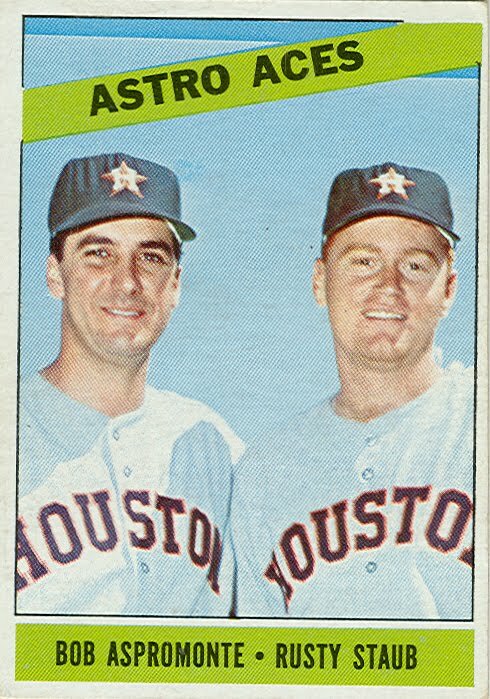 He pitched 9 games in relief for the Angels that season. 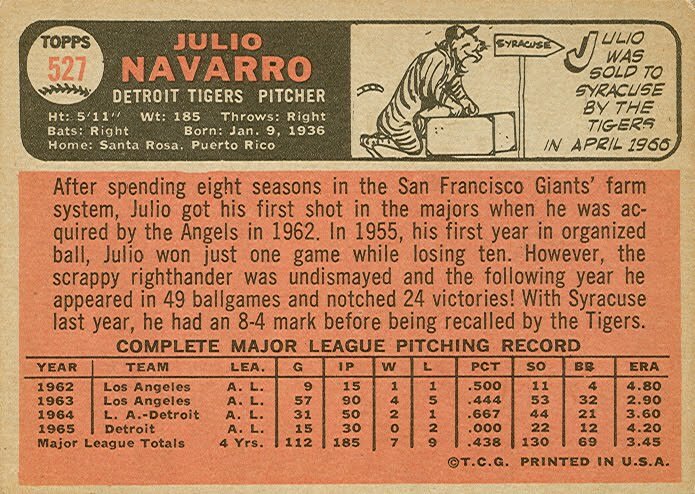 In 1963, Julio was a key member of the Angels bullpen, making 57 appearances and leading the team with 12 saves. 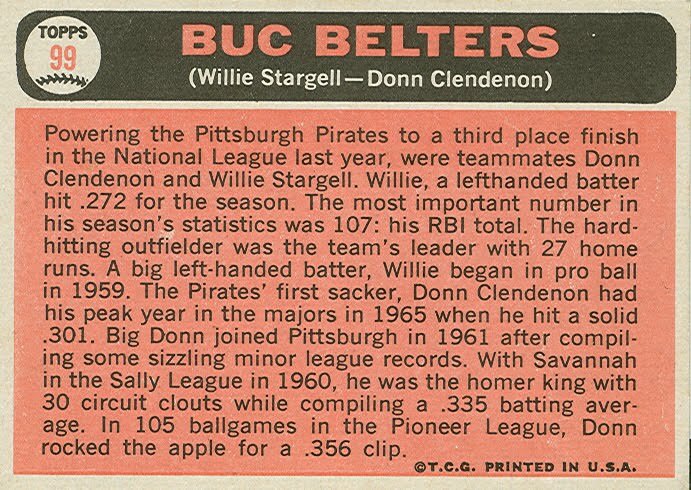 This was also his only full season in the majors. 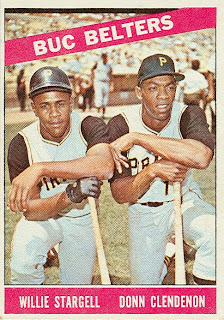 In April 1964, he was traded to the Tigers for outfielder "Wonderful" Willie Smith. 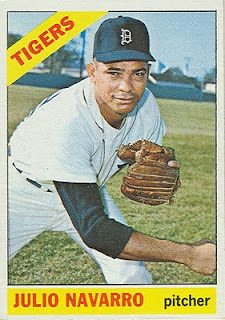 During his seasons with the Tigers (1964-66), he spent a good deal of time pitching in the minors. In June 1966, the Tigers traded him to the Red Sox (with outfielder Don Demeter) for starting pitcher Earl Wilson (one of the best pitchers in the AL at the time) and outfielder Joe Christopher. 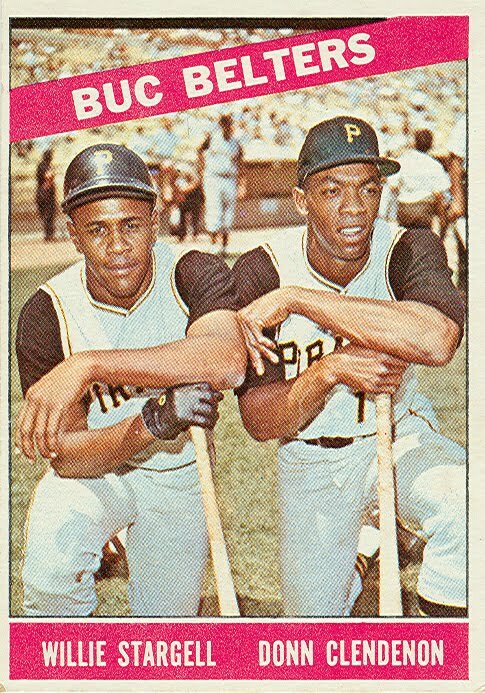 His time in Boston was short, as he was traded to the Braves after the 1966 season. 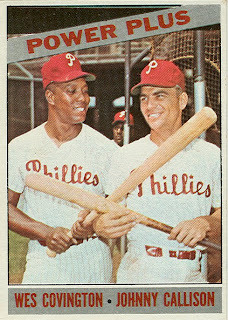 Julio remained in the minors until briefly resurfacing with the Braves in 1970. 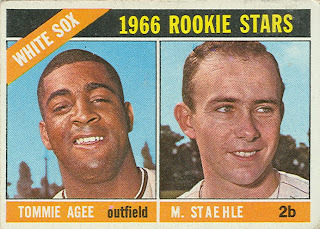 This card (#164) is the first of 2 White Sox Rookies cards in the 1966 set. 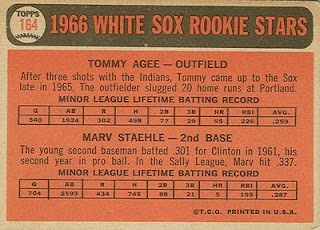 This is not Tommie Agee's first card, as he previously appeared on an Indians Rookies card in 1965. 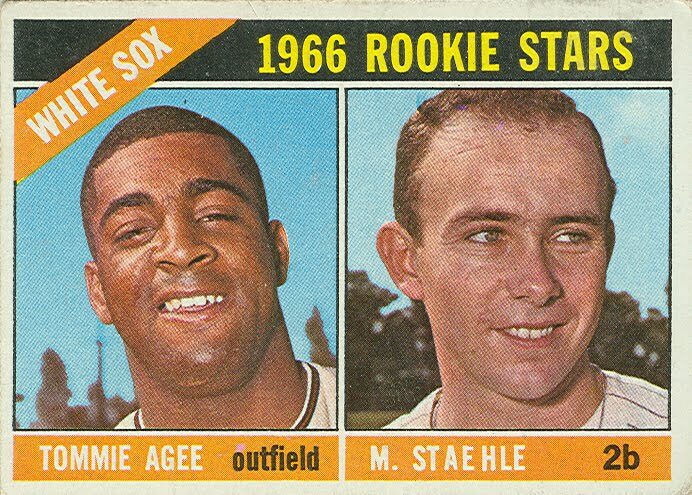 I don't know who holds the record for most appearances on a "rookie" card, but it isn't Agee. 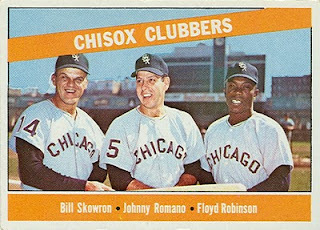 Lou Piniella was on 3 rookie cards (Senators - 1964, Indians - 1968, Pilots - 1969). 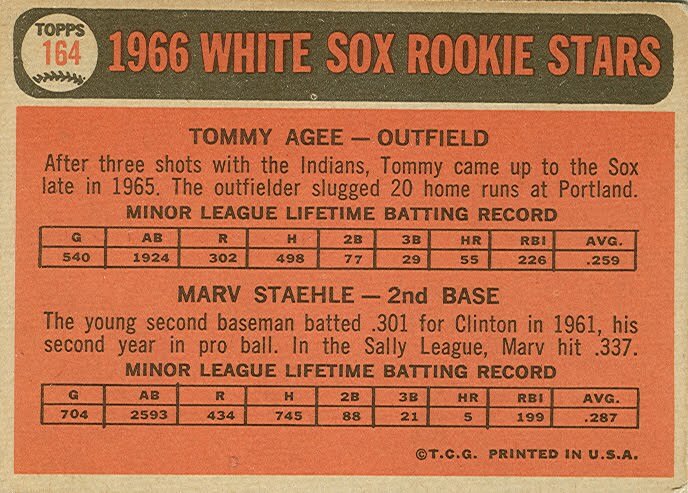 Marv Staehle had a less-spectacular career than Agee. 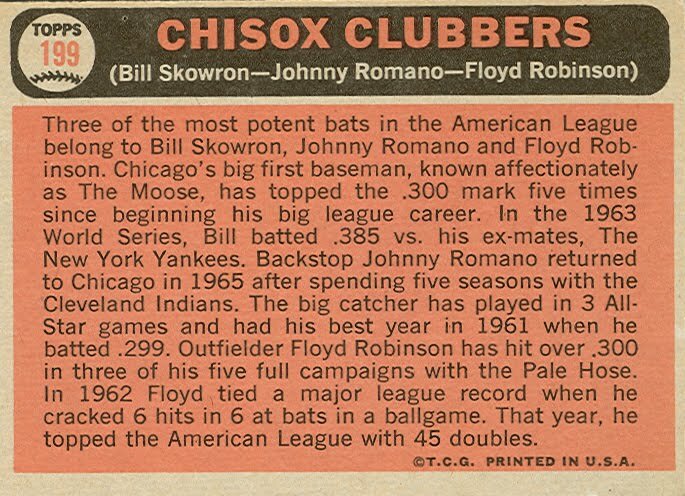 He was signed by the White Sox in 1960, and after 7 seasons playing SS and 2B in their farm system, he bounced around to various organizations (Mets, Indians, Pilots) before the Montreal Expos purchased him from the Seattle Pilots late in the 1969 season. Most of Marv's major-league playing time came during 1970, when the Expos platooned him at 2nd base with Gary Sutherland. 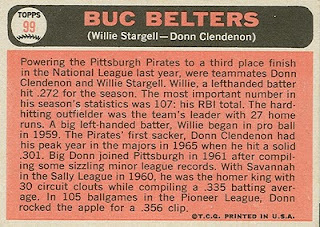 His final major-league season was 1971, with the Braves.